Volunteering is an admirable activity any day of the year. Working with youth, animals or underprivileged communities can not only bring about meaningful impacts but feels great too! 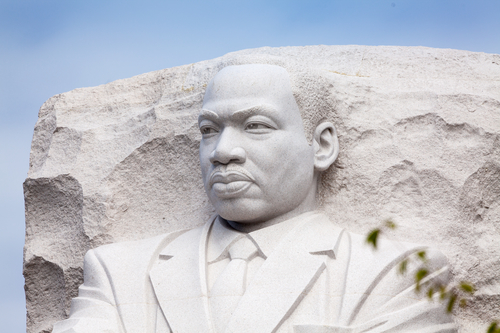 One of the biggest volunteer days of the year, Dr. Martin Luther King, Jr. Day, is coming up and is a great opportunity to give back to the community—and a way to jumpstart your 2019 with a commitment to volunteerism. There are lots of local organizations in need of helping hands and one of the biggest is one you might not have considered would have volunteering opportunities—and it’s minutes from your Canvas Valley Forge apartment. Valley Forge National Historic Park is looking for individuals and groups interested in committing their passion, time and skills to helping the park tell its storied history to its many daily visitors. The site of George Washington’s Revolutionary War encampment, the park, just two miles from your Canvas Valley Forge apartment, has a wide range of volunteering opportunities, depending on your interests. Those interested in history or nature would be a natural fit, but the park also has opportunities for those with a knack for teaching youngsters, others for those with a background in building and still more for those skilled in organizing groups. The park welcomes volunteers who want to serve in a one-time capacity, as well as those interested in more long-term commitments. Its organized volunteer experiences include Weed Warriors—volunteers are trained to identify different types of weeds and set off into the park to remove them at certain times of the year. The Crayfish Corps members help remove invasive rusty crayfish from the park’s waterways, while Wildlife Watchers observe and document the park’s wildlife to keep track of the many creatures that inhabit Valley Forge. Whether you’re interested in a one-day activity to honor Dr. Martin Luther King, Jr., or want to develop a long-term relationship with the park, explore the volunteering opportunities at Valley Forge National Historic Park. Volunteering costs you nothing but just a little bit of time and energy—but the rewards you get back will keep giving!